“In Christ” is one of Paul’s favorite phrases. A parallel phrase he uses is “with Christ”. Both of these phrases are his shorthand for union with Christ. This is undeniably one of the most important theological concepts in the Scriptures, for our salvation is “in Christ”. Yet, this subject has been largely ignored by theologians for over 100 years. The contemporary church is much weaker as a result of the neglect of this foundational doctrine. There have been a much needed spate of books that have sought to address this weakness and restore this doctrine to its rightful place in our minds and hearts. That this took so long reveals one of the weaknesses of the current state of publishing. Even Christian publishers are too focused on sales at the expense of needed truth. Thankfully, some smaller publishers have been acting contrary to common practice. One of the authors of these books is Robert Letham. I must confess that I had not read any of his books, nor owned any until this past year. Now I own three of his books, including Union with Christ: In Scripture, History, and Theology. It shares its subtitle with his book on another neglected subject, the Trinity. The other work of his I recently purchased and began to read is on the also neglected Work of Christ (part of the excellent Contours of Christian Theology series). Letham, for those unfamiliar with him, is the Senior Lecturer in Systematic and Historical Theology at Wales Evangelical School of Theology. He has advanced degrees from Westminster Theological Seminary and the University of Aberdeen. The book has an academic feel to it, and I was intellectually stretched while reading much of it. This is not a bad thing, people. This is not a fluffy topic, but one that requires rigorous thinking in addition to the illumination of the Spirit to grasp. I was well rewarded for my efforts. This book is only about 140 pages long, but it is a dense 140 pages. It is full of meat as he grapples with the topic at hand. True to the subtitle, Letham examines Scripture, the history of the Church and theological formulations to help us understand and apply this most important subject. The importance of this subject is evidenced by how many doctrines Letham addresses in the course of examining it: creation, incarnation, the atonement, justification, adoption, resurrection, sanctification etc. Letham begins with creation, which surprised me. But since Jesus is the 2nd Adam, this is the best place to begin. Humanity’s communion with God was destroyed by the first Adam’s sin. 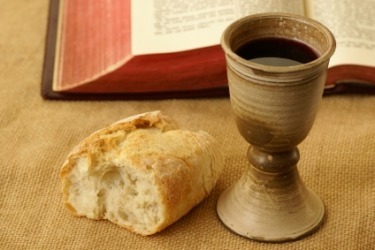 Jesus would become man in order to restore this communion, and be the means of that communion. So you see that the book takes a few unexpected twists (I’ll be interested to see how the other books I’ve picked up on the subject work thru this). He spends a chapter on the Incarnation, surveying the development of the doctrine. The Eternal Son united himself with human nature, joining Himself with humanity in order to secure our salvation. In salvation, He then unites Himself with the elect as the means of their salvation thru the Spirit. We only partake of the benefits of salvation if we are so united to Him. This is one of the tougher chapters since it grapples with the nature of the hypostatic union. He traces its development through the ecumenical councils and expressions by Athanasius, Cyril, Nestorius and others. He also shows how this is not neglected by the Westminster Confession of Faith but expressed most often in the Larger Catechism.